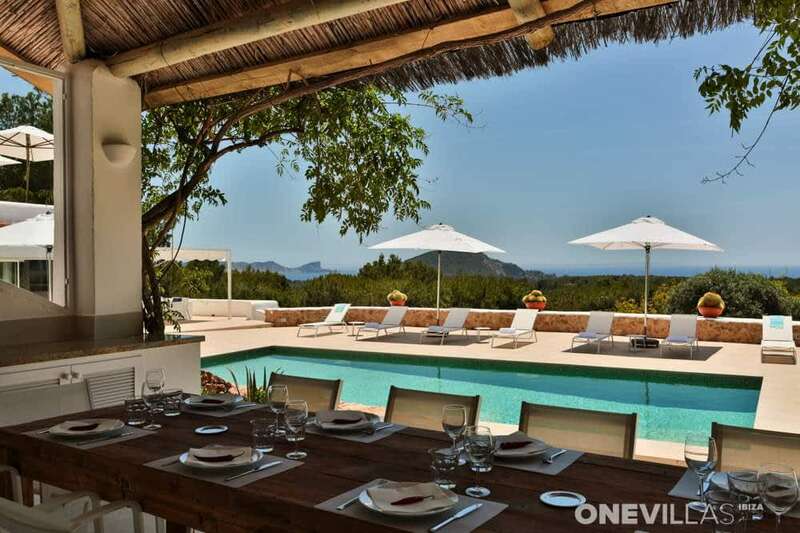 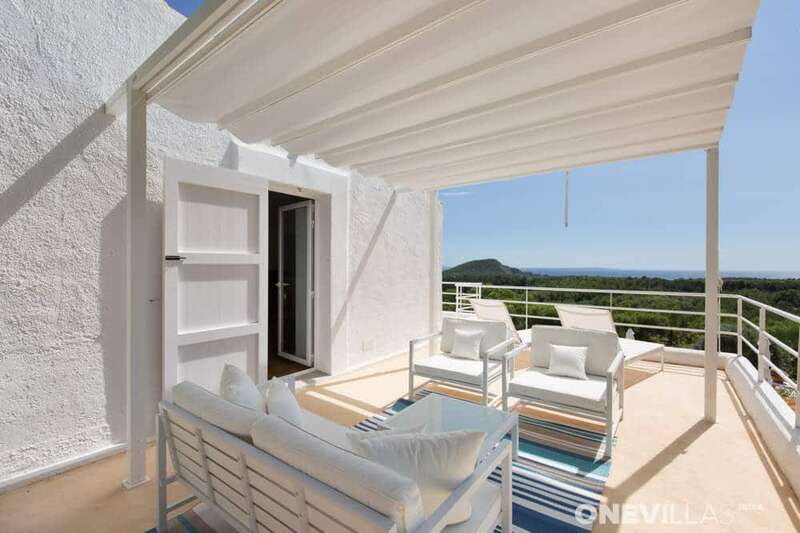 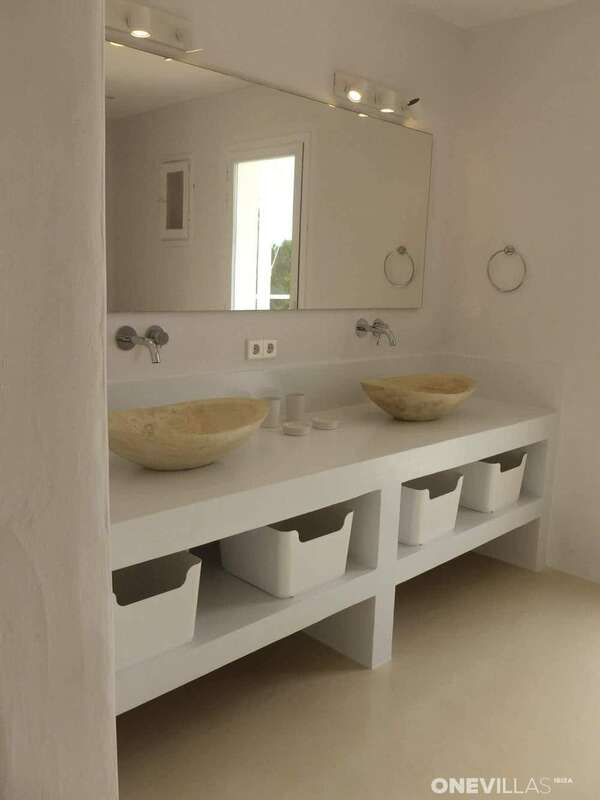 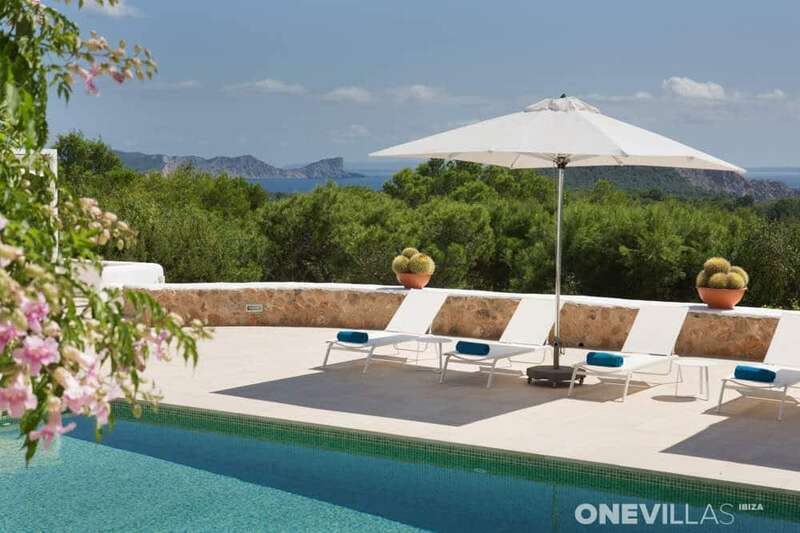 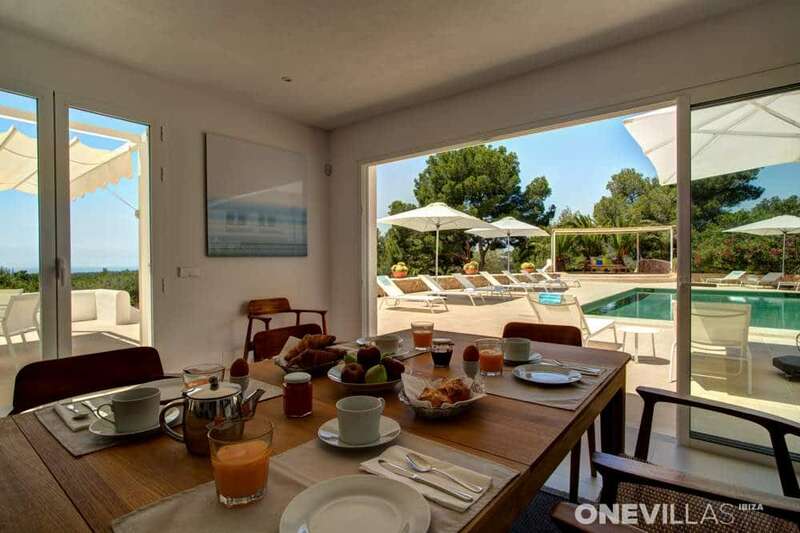 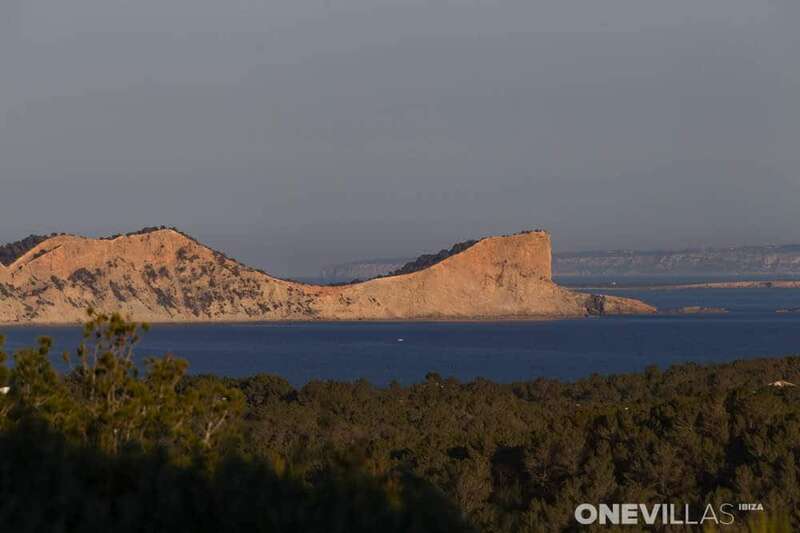 Villa Sophia is located in the southern part of Ibiza, on the side of the Puig Redo mountain, and has a breathtaking view of the sea (Cap des Falcó and Es Cubells). 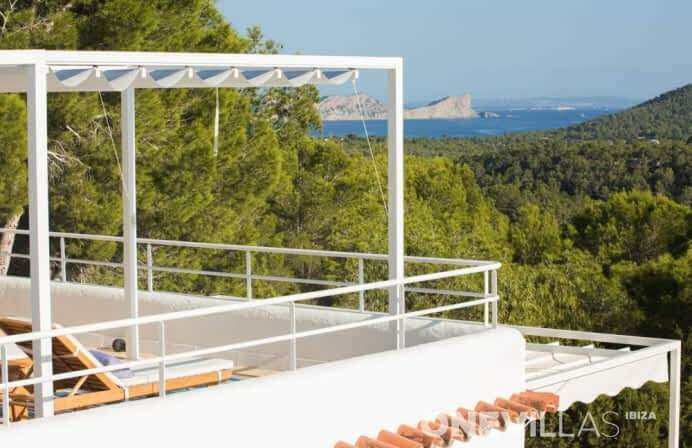 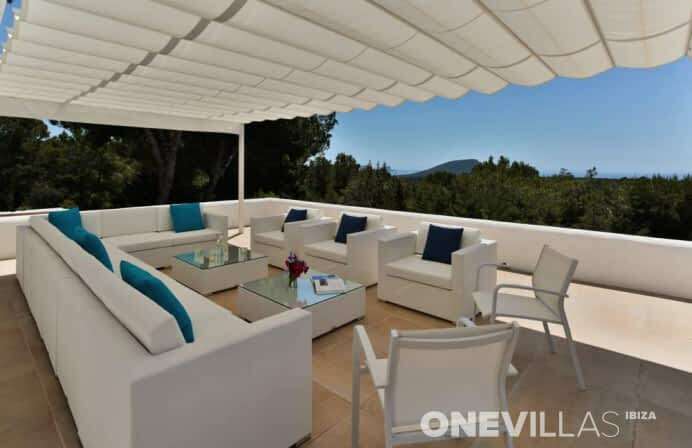 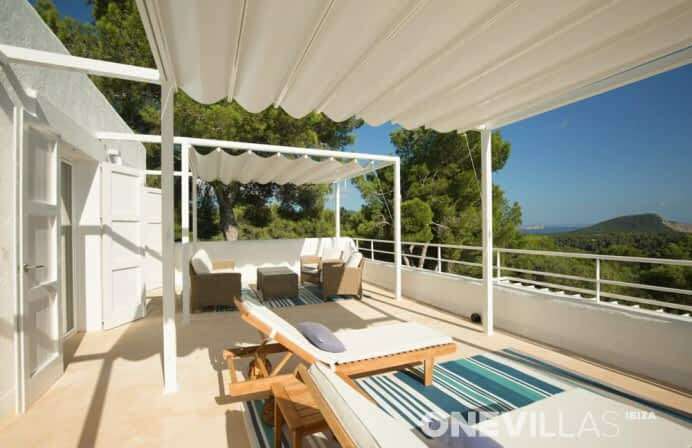 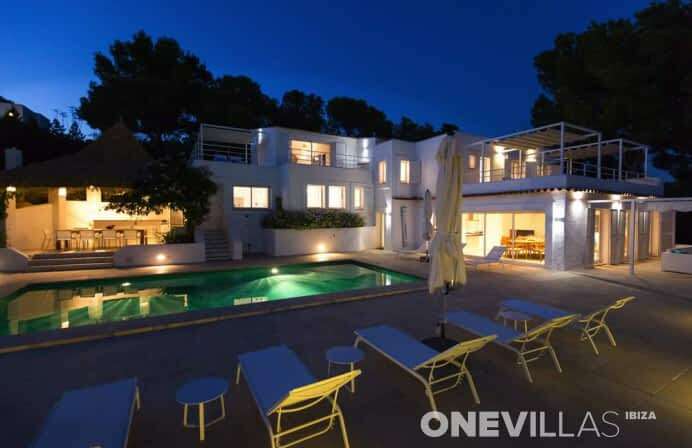 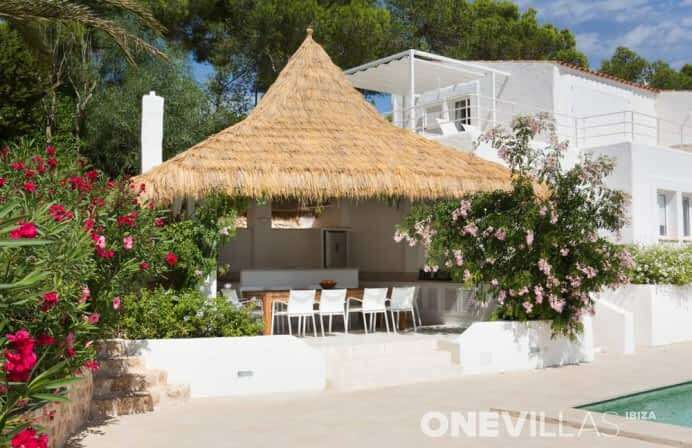 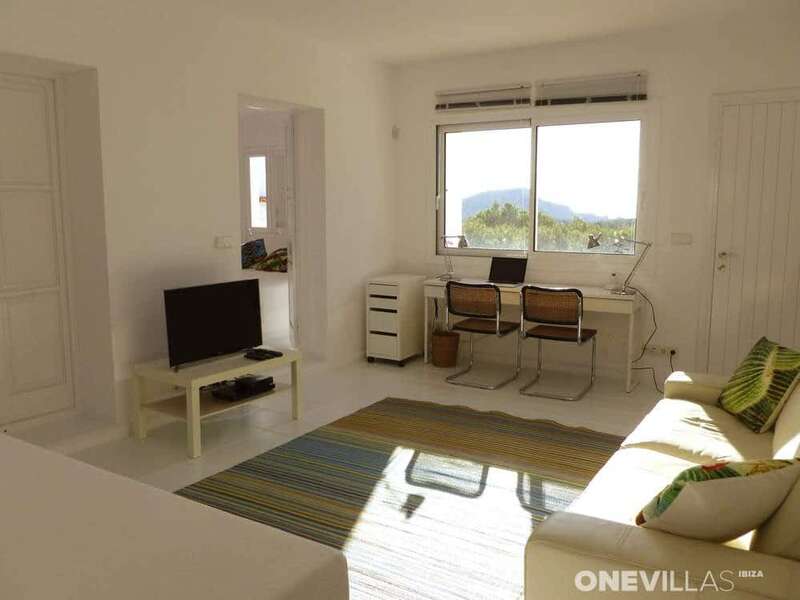 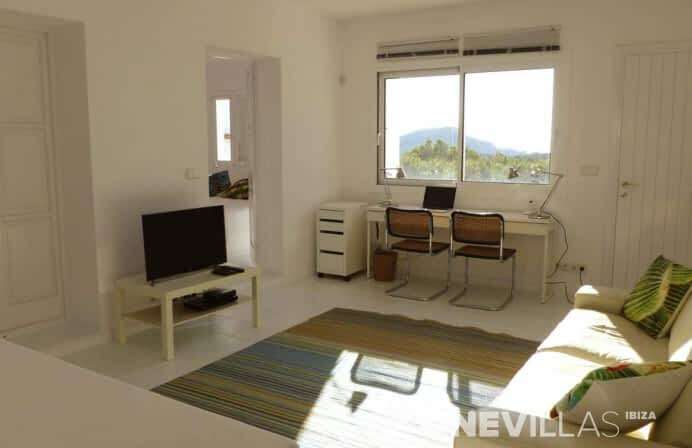 This is an area that is very well known to the Jet Set of Ibiza and is a perfect match for holidaymakers who are looking for peace, privacy and luxury combined with the famous beaches and beach clubs! This includes, for instance, the beach of Cala Jondal, with clubs like Blue Marlin and Tropicana, as well as the smaller Sa Caleta beach, which is only 10 minutes’ drive away. 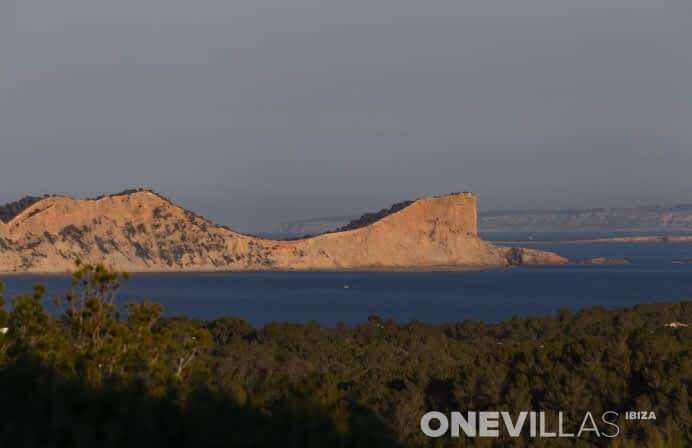 Ibiza town and the airport can be reached within 15 minutes. 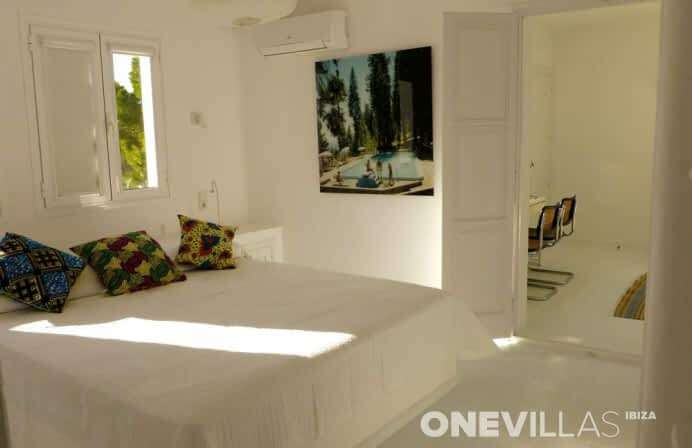 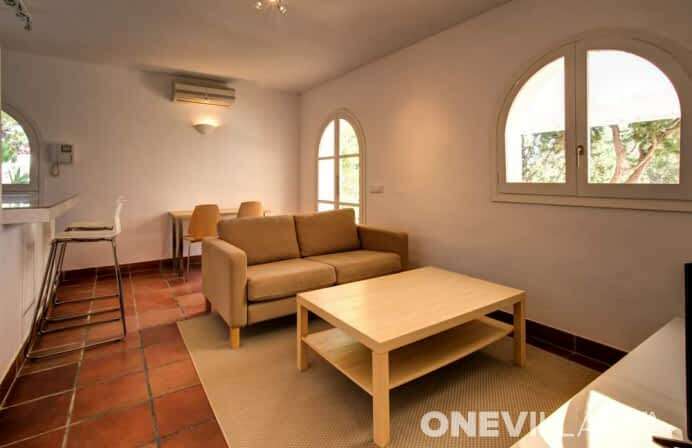 Villa Sophia is a recently renovated villa. 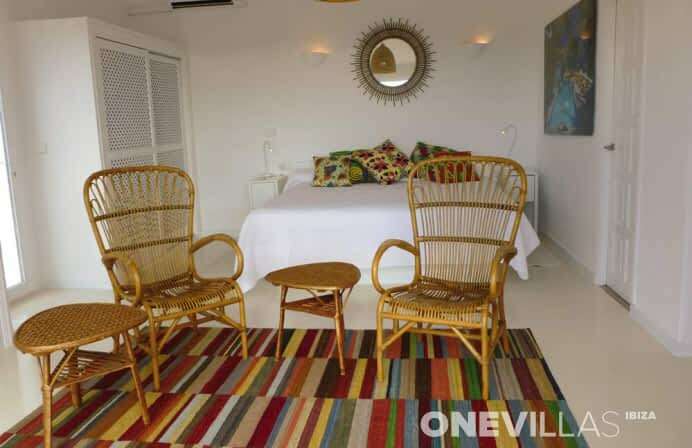 The French decorator has given the interior a unique style using a combination of modern and vintage furniture. 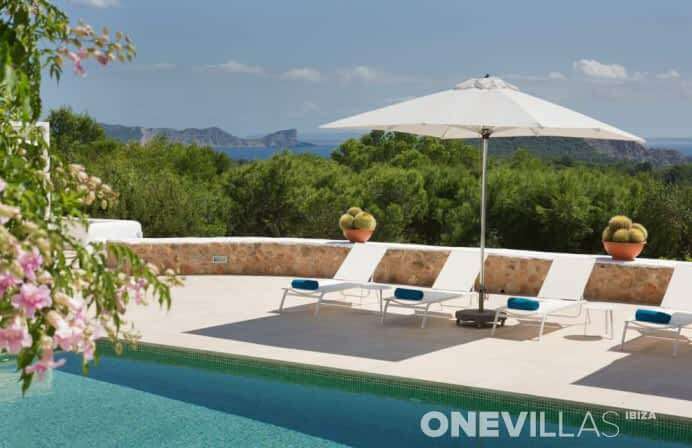 The grounds of the villa are fenced and have an entrance at the front and back. 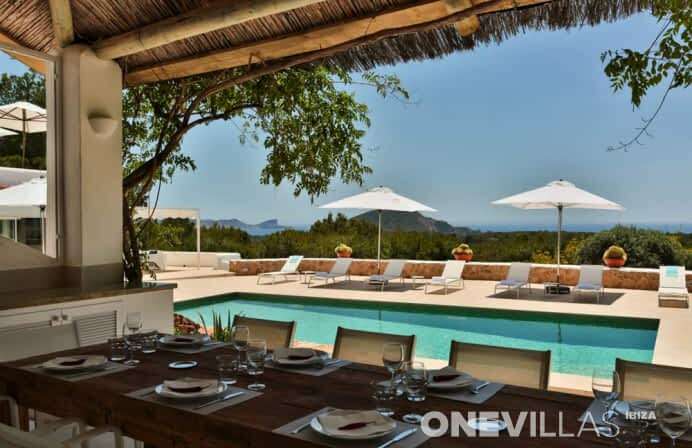 The terrace, complete with sea views, extends along the entire back of the villa with a saltwater swimming pool (5x10) in the middle. 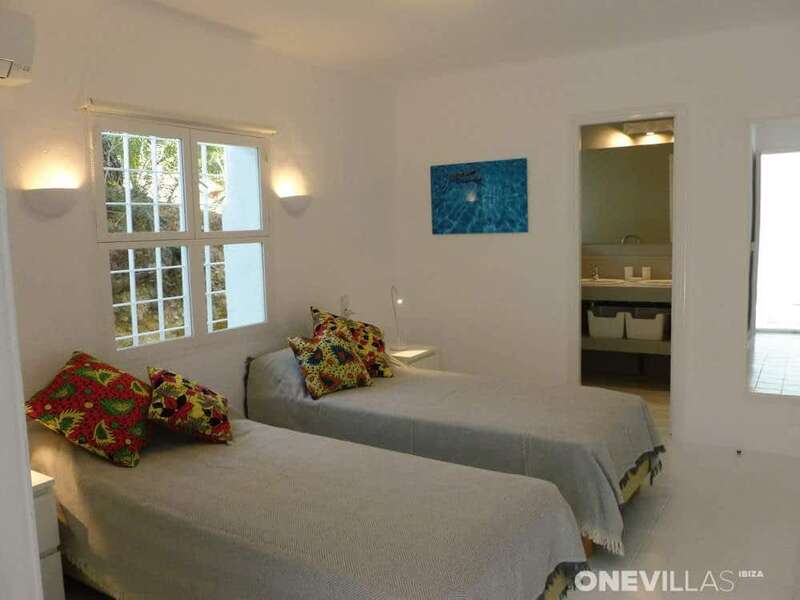 There are no fewer than 16 sunbeds, and a double Bali daybed. The covered outdoor kitchen adjoins the elevated terrace. 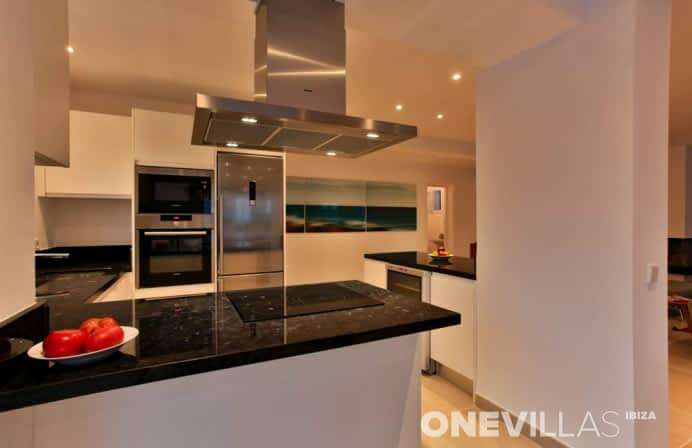 This kitchen is equipped with a professional grill. 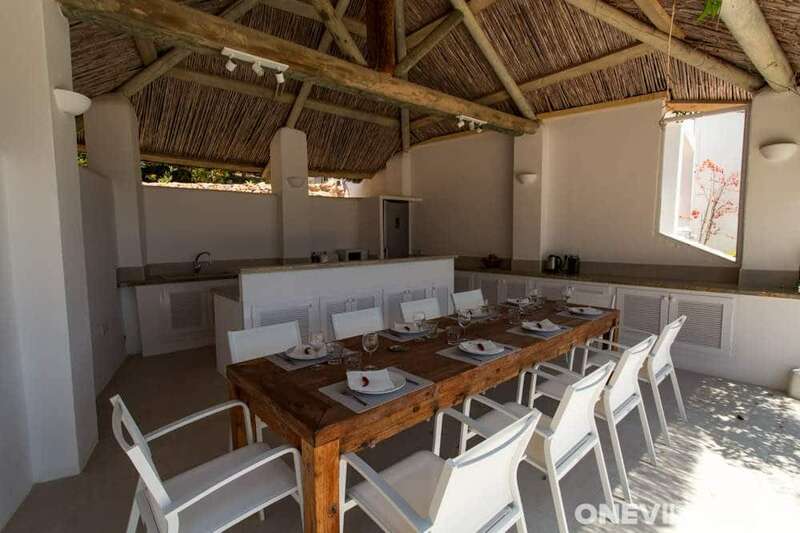 There is also a long dining table suitable for 12 people. 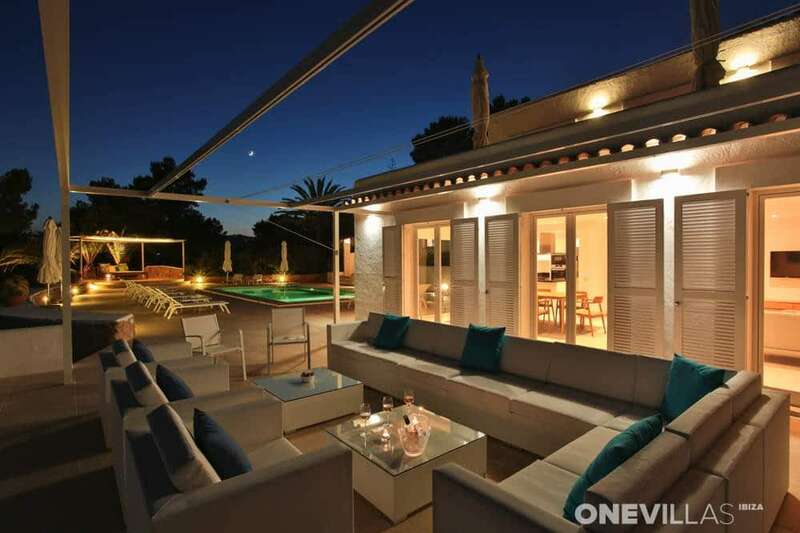 The plot contains a lot of land where an illuminated path offers a tour around the grounds. Guests can enjoy all the flora in the different gardens! 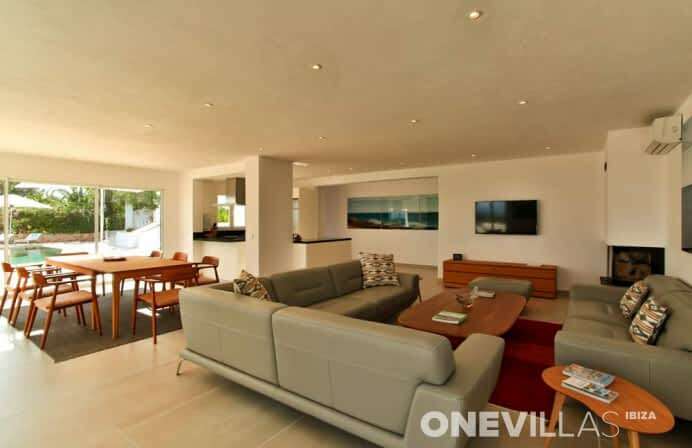 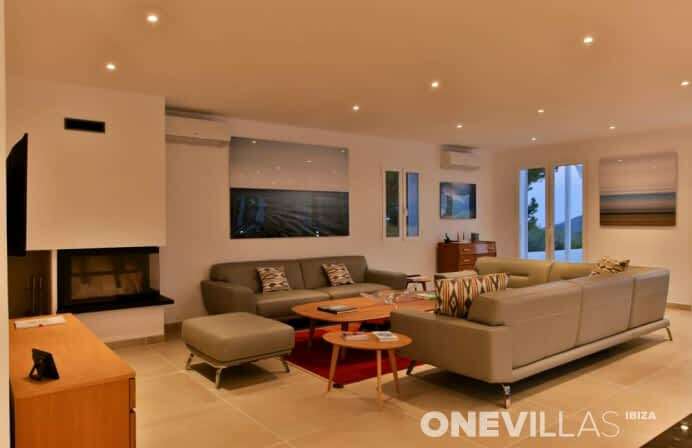 On the ground floor, you will find the living room and open kitchen. 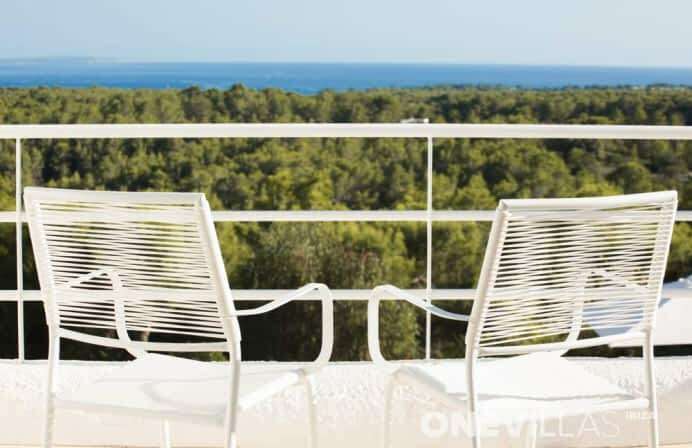 The wide sea view is also clearly visible from here. The patio doors give access to the terrace and the swimming pool. 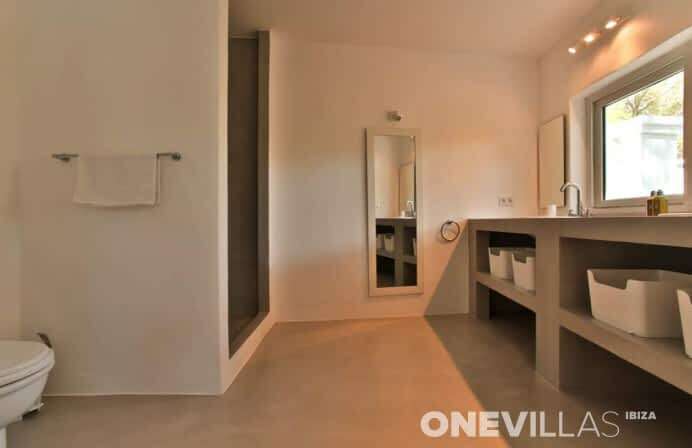 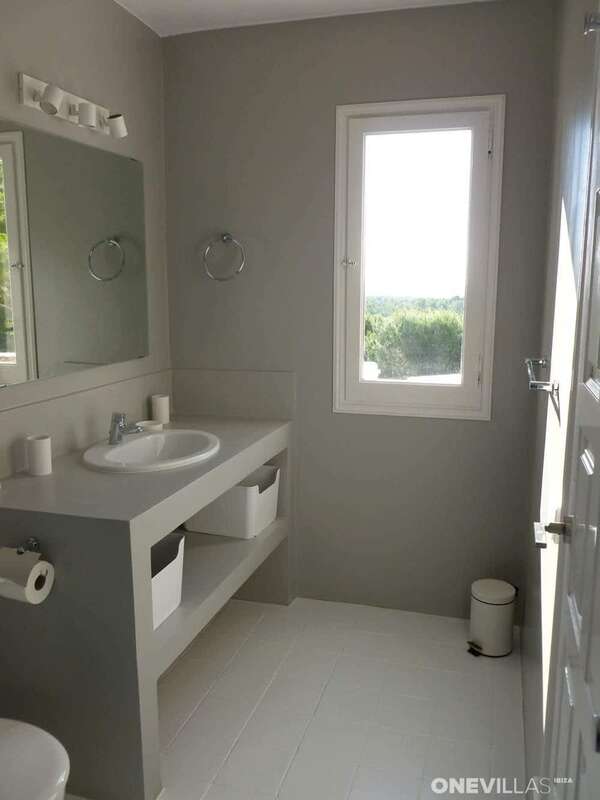 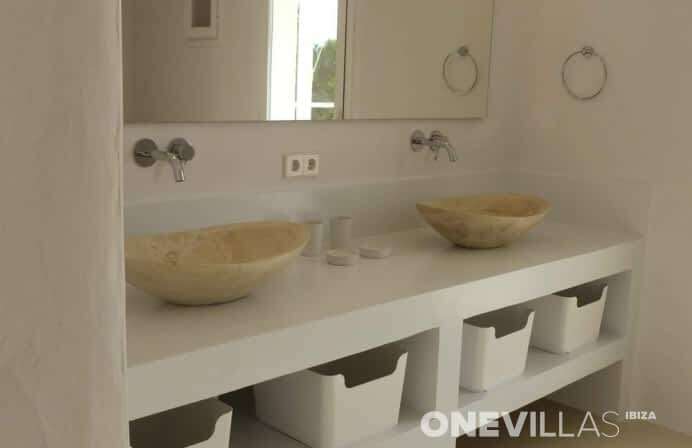 In total, there are 8 bedrooms with en-suite bathrooms: 6 bedrooms with double beds (1x200x200, 5x180x200) and 2 bedrooms with two single beds each (90x200). 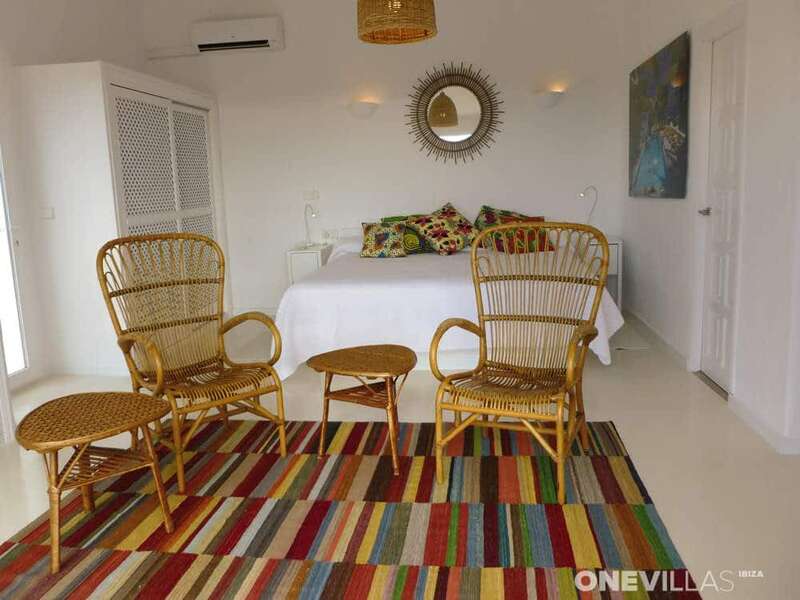 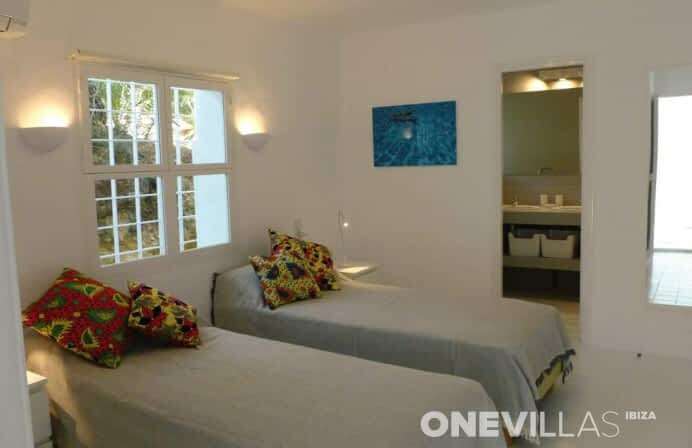 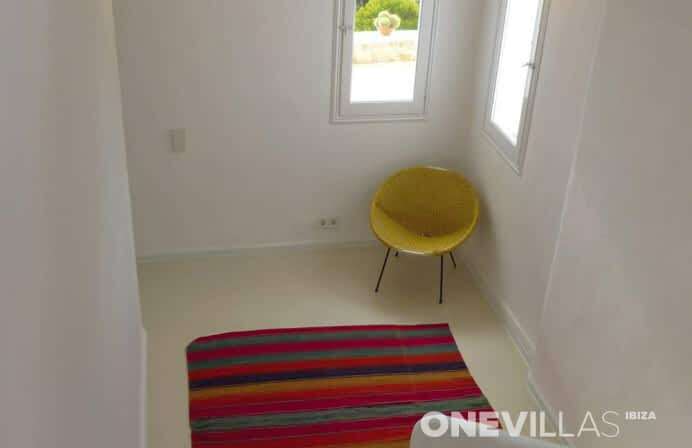 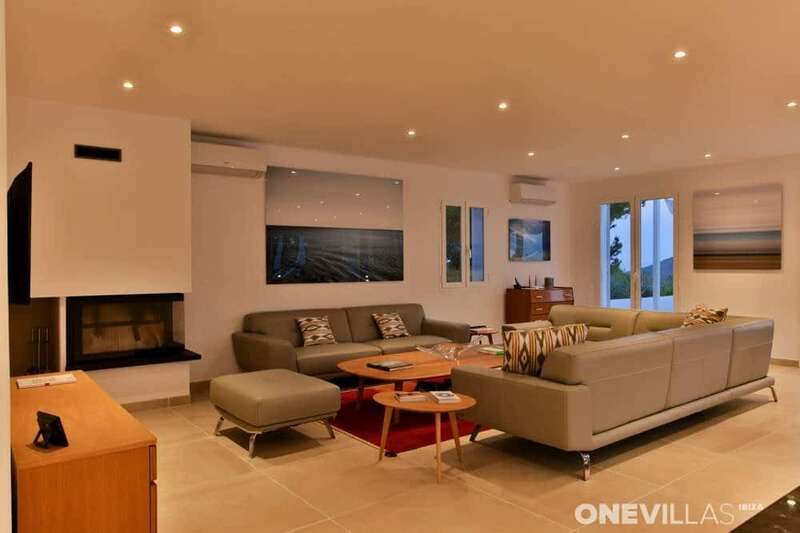 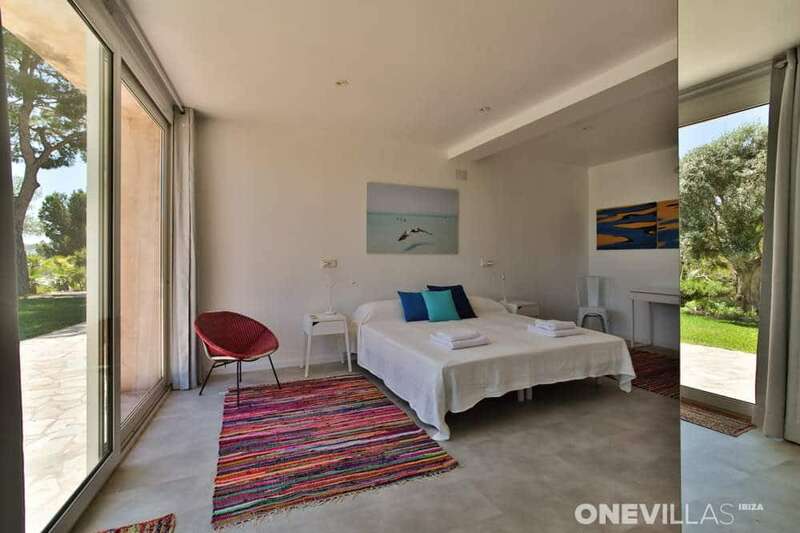 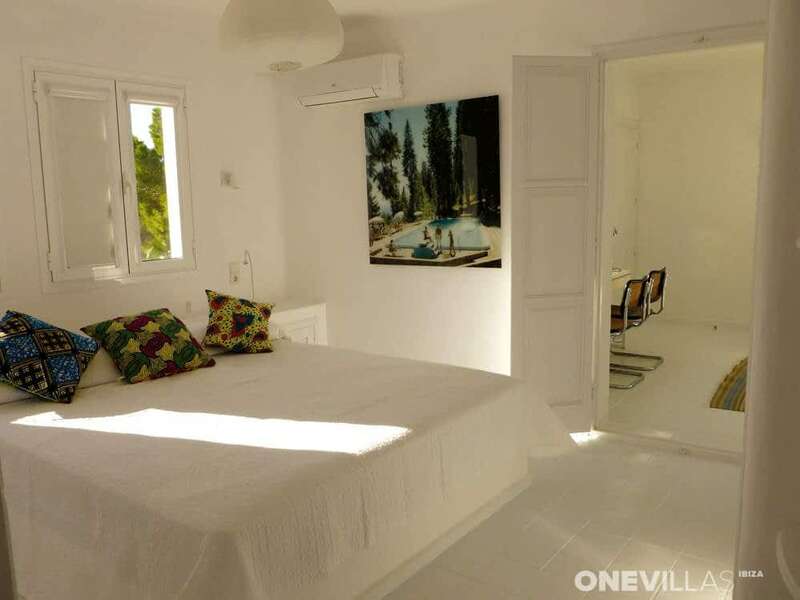 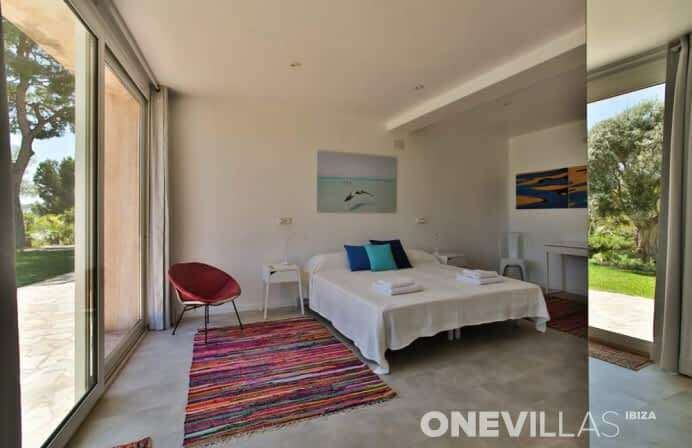 2 Bedrooms have a private terrace with seating and sea views. 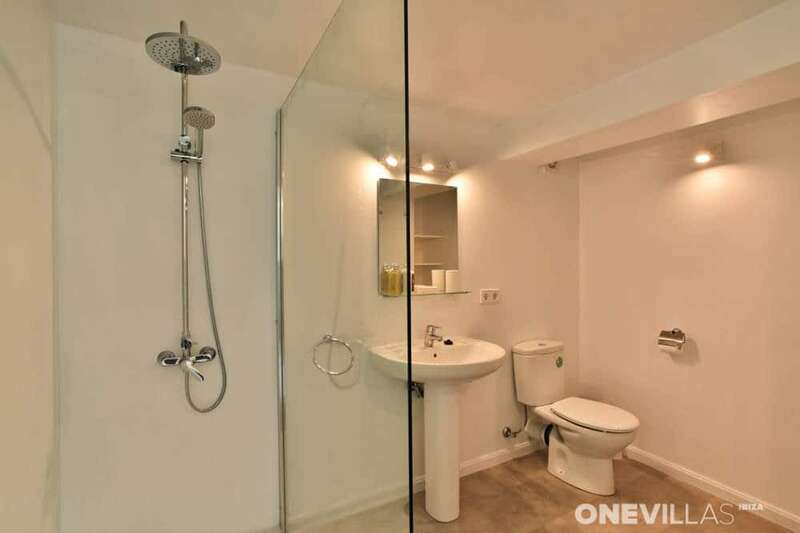 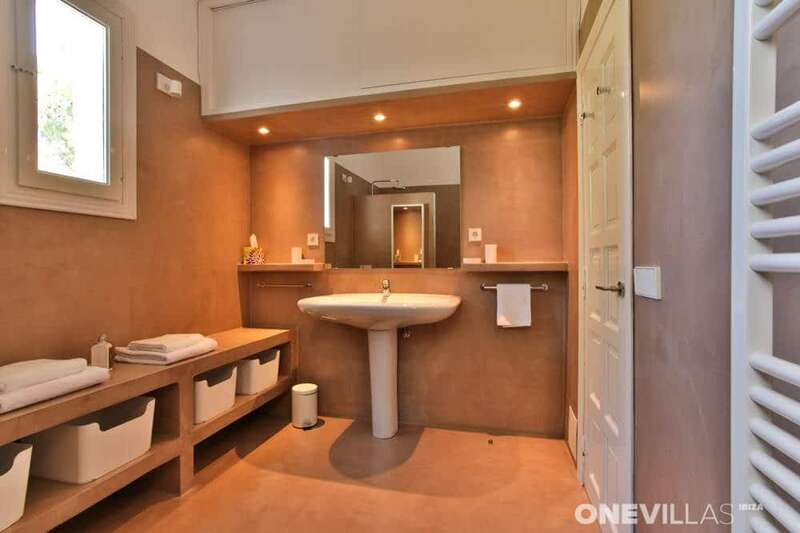 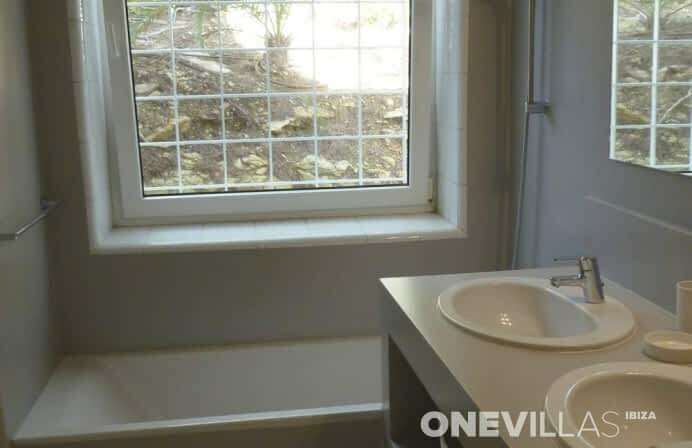 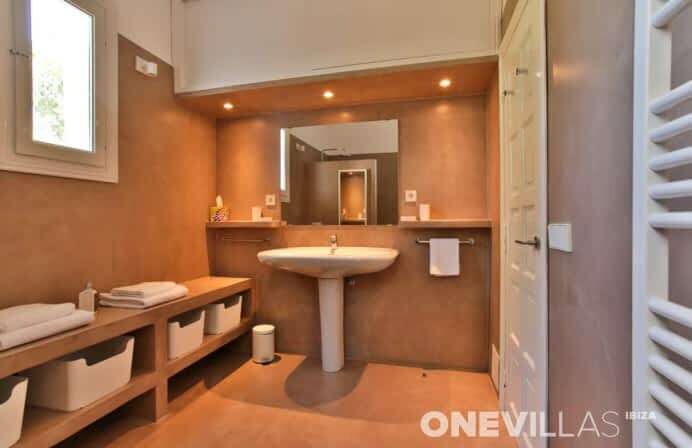 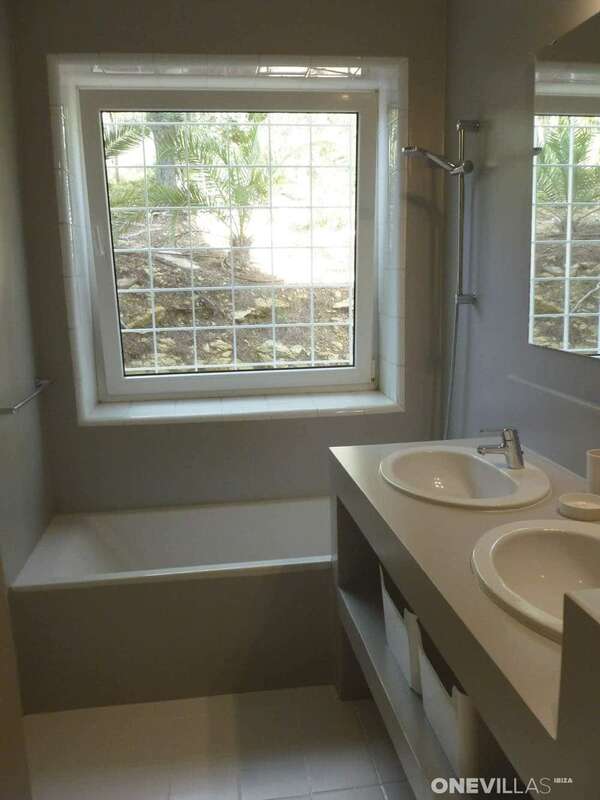 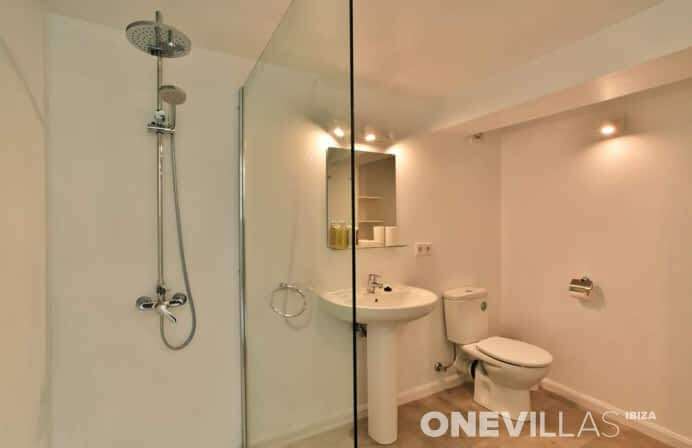 7 bathrooms with shower, 1 with shower and bath. Seven bedrooms in the main house and one apartment located under the house. 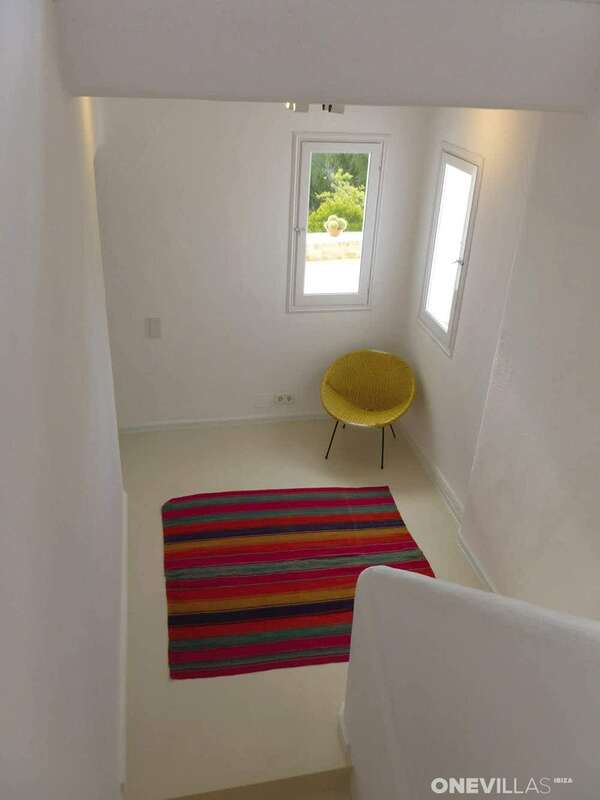 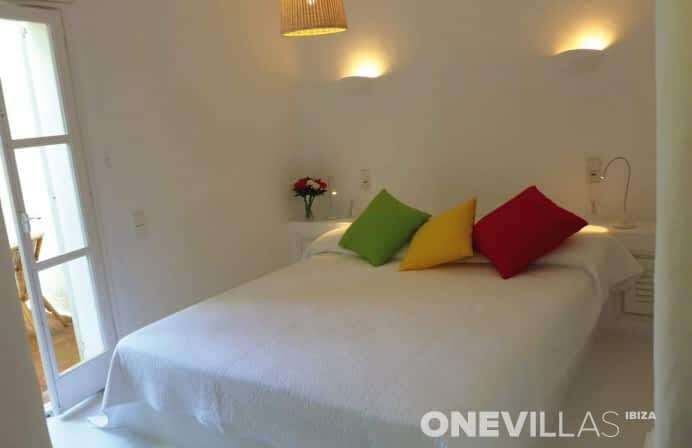 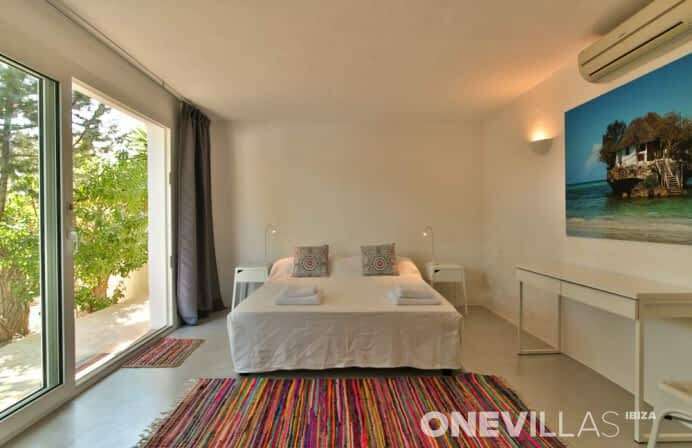 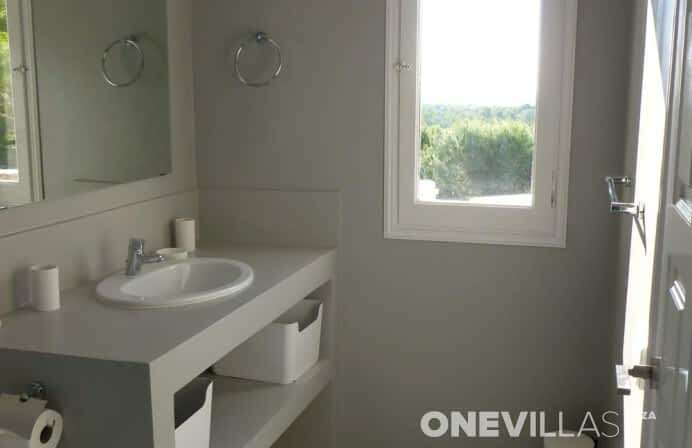 The apartment has a double bed (160x200), bathroom, living room, kitchen and terrace. 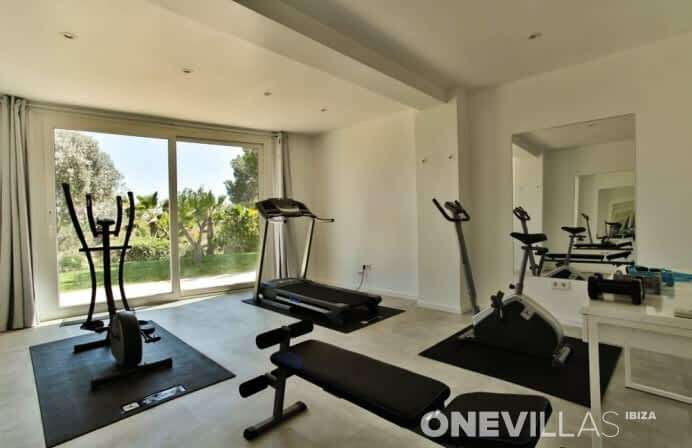 A separate gym next to the apartment completes the picture!